“Powder days are alright” – said no one, ever. Usually, when you ask someone about a pow day they respond with sheer elation; bubbling with excitement and bursting with a fiery passion. The perfect powder day is the ‘holy grail’ for skiers and riders. It’s something we dream of, chase after, and long for… but is rarely attained. When you finally get that perfect powder day, you feel frozen in a state of absolute euphoria. THIS is why we ski. Floating on freshies without a care in the world, smiling so big that your cheeks hurt; nothing else matters in this moment… and you couldn’t be happier. “It was a solo mission and no one was in the lift lines… I think I played hooky from work this morning 😉 Snow was soft, fluffy and DEEP.” – Stefanie Van Der Kar, Breckenridge Ski Resort. Check out her video of the day below! “I got a snow cat trip to Keystone for Christmas. We just happened to hit it on a 24+ inch powder day and spent all day slaying untracked powder in Erikson Bowl. Snorkels were required.” – Mark Grattan, Keystone Ski Resort. “After 25 inches of fresh powder, my friends and I hiked to the top of Peak 8 and hucked off this cliff into 5 ft. deep powder! 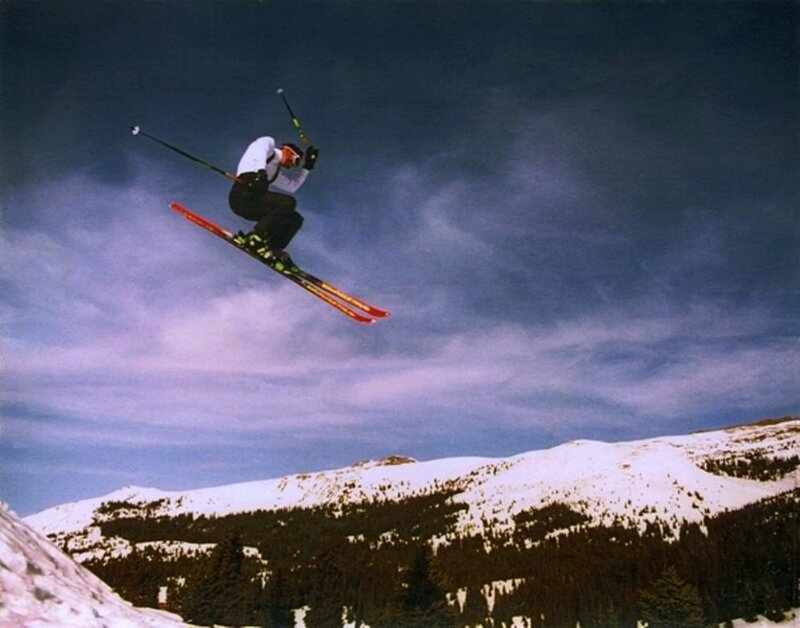 !” – Glenn Brady, Breckenridge Ski Resort. “It was my 1st year here in Breck (2014), It was a late February snow storm that started early morning and continued throughout the day. I was riding up Kensho SuperChair when the snow started dumping, I could barely see the chair directly in front of me. Just the way I like it. The first run on Peak 6 was knee deep powder on ‘Wonderland’ and that was just the beginning of this adventure. Not being extremely familiar with the terrain, today was my day for exploration. From surfing the back bowls, to slashing waste deep powder in the trees, this was by far the best powder I have experienced in a long time! !” – Joe Demma, Breckenridge Ski Resort. “My favorite powder day was when the snow was so fluffy and deep and the day was just beautiful and bright, making my own lines through the trees, following friends down to the lodge for Apres. 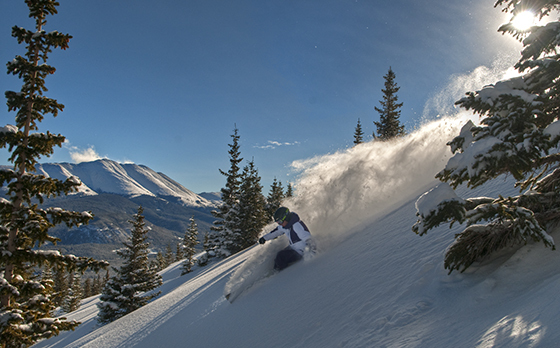 A perfect power day!” – Iris Bradford, Breckenridge Ski Resort. “The best pow day I’ve ever had (among many) has to be at Copper Mountain in April of 2015. It was my Birthday. The season had already been absolutely amazing with terrain opening up at mountains that I had never even known about because there was so much snow, and honestly, we were ready for it to wind down. We were ready for mountain biking, hiking, camping, and warm weather. We were ready for summer. But then about a week before, we started seeing reports of a storm that might roll through. A foot or more they said. We thought, “Yeah, right. In the middle of April?” Nah. But of course if there was skiing to be had, and with my birthday coming up we made plans to shred with a crew on what could be the last pow day of the season. It didn’t disappoint. TWO FEET of fresh snow fell overnight and we were ready. First tracks through 17 Glade, Star Wars Trees, Gold Digger Trees, Upper Enchanted Forest, and Resolution Bowl. They were all ours and we took them grinning from ear to ear open to close. “I have been snowboarding for a little over 20 years, so you can say I have had a few “favorite pow days”, BUT I will go with the most recent that took place last Saturday 12/17/16. Friday night… The storm was fierce. Snow came down from the heavens and covered the resort and town in a deep white blanket of joy. Giddy with anticipation, like a child on Christmas Eve I laid out my outwear, boots, hat gloves, etc. for the next day. Saturday morning came around and I made myself a full complete breakfast before catching the yellow bus to Beaver Run. Word on the street was that I-70 had closed and that the resort would be a bit less crowded than normal for a Saturday. Catching first chair over at Beaver Run was easier than expected. Myself and my buddy Gram took a tree run next to ‘American’ to start out our day. The snow was deep, and it was a blower. The next run we took was Mercury Chair and decided to take the Hollywood run under the ‘E-Chair’. The E- Chair was not yet running… this lead to a run full of slashes on untouched steeper terrain that resulted in big smiles and high fives. The cat track back to 9 was even better. We found a few side hits on the trail and cruised back to Copper Top bar. After a quick beer we decided to head back out to Peak 9. We took some more tree runs and found some tree jibs that had not yet been touched. The snow was still deep and we continued to lap without waiting in a lift line throughout the day. We called it quits around 1:00pm and retired for Tacos and Coco. Days like these keep me in Summit. These are the days we live for.” – Joe DeStefano, Breckenridge Ski Resort. Tell us about your ultimate powder day! Ring in the New Year Breckenridge Style. The evening’s line-up includes the Glow Worm Parade, Torchlight Parade, and Fireworks! Check out everything going on! Breckenridge Resolution Run & Yeti Snowshoe Stomp 5k| 11 am | Vertical Runner | Registration Website. Looking for lodging in Breckenridge? Look no further. Click here for the BEST deals in Breck! If you are lucky enough to spend the holidays in Breckenridge, you are lucky enough! Bright lights, big snowflakes and horse drawn carriages through town are just a few things that make the holidays so special in Breck. A surely magical time of year during the holidays, we are so excited that you and your family have chosen to indulge in this very special time with us. So, what’s on the agenda while you are here? While we believe you will be on the slopes for some of your trip, we’ve gathered a list of some local’s favorite restaurants sure to give you delicious calories to burn back on the hill. As you can see, the favorite’s list is quite short, so make sure you make reservations ahead of time. With a focus on wild game and best cuts of filet, the Briar Rose Chophouse will be open on Christmas Day and New Year’s Eve. Not looking for a big sit down but just to get out of the condo for a bit? Check out there happy hour, 4 to 6 p.m. offering ½ priced small plates in the bar. Although closed on Christmas day, Modis offers holiday-themed specials through New Year’s. With a modern feel and some of the best cocktails in town, come on in and snuggle up with a glass of red wine and some fine food. Relish sits right in the middle of the Blue River Plaza just steps off Main Street. With amazing views of the ski resort and a fun staff, this meal is probably one you will come back for next time you visit! Not offering Christmas day dining, save this special menu for a New Year celebration with the family and loved ones. Other dining options include: Hearthstone, Ember, Blue River Bistro, Blue Stag Saloon, Canteen Tavern and Tap House, South Ridge Seafood Grill, The Swiss Haven, The Warming Hut and Sevens which are all open throughout the Christmas and New Year holiday. Want to stay in? Breckenridge has caterers that will come to you! Pick up or drop-off, Ridge Street Kitchen will make a custom menu for you tailored to your preference at a reasonable price. Have dinner with the family in the comfort of your own space after an exhausting day on the slopes! Working within a budget, Black Diamond Gourmet is a full-service catering company that can prepare a holiday meal for you and your family at your home or venue of choice. When you are not eating or skiing, check out all the holiday events that are going on in Breckenridge! From a paint your own ugly sweater party to skating with Santa, there are an array of activities that will be sure to keep you and your family entertained while you are off the hill. When I was thinking of how to approach this topic and I Googled the definition of gnarly and I got 400,000 results. I thought clearly this word has a lot of meanings. I guess I could write about the hardest, steepest, most intimidating, deepest, bumpiest… and so on… but “gnarly” is the descriptor we chose for this topic and is the best overall way to describe gnarly ski runs. Gnarly ski runs always challenge the best skiers and riders. They will be difficult, steep, above tree line or buried in trees, have rock drops, unexpected hazards, bumps and generally be a hazard to the health and well-being of anyone skilled or foolish enough to drop in. Here then are our picks for 10 of the gnarliest ski runs in Summit County. Nine Lives – located in Lake Chutes, Nine Lives tops out at a 50-degree pitch. It is possibly the steepest inbound ski run in Colorado. Located entirely above tree line requiring a cornice drop, mandatory air and super tight turning area. Hit this on a powder day and watch the snow you push surround you and drop like a waterfall. Wacky’s – Another Lake Chute, Wacky’s is a super steep and technical Run that requires much negotiation around multiple rock bands. If you fall on this run you will most likely fall all the way to the bottom without stopping un less, of course you hit a rock band. Windows – Drop down from the heights a little and experience the extreme terrain located off of E-Chair on Peak 9, specifically the Windows. The Windows Chutes are the definition of gnarly tree runs. Navigate tight trees and steep terrain. Lap the E-Chair and ski them all. Gautier (5th Alley) – If you want to go ski something that will just scare the crap out of you consider Guatier! Located on the on the west side of the Pali Face just past the 4th Alley, Guatier is the steepest run on a face full of the steepest runs in Summit County. Throw in trees and VW sized bumps and you are looking at a “do not fall” proposition. West Turbo – Named after one of the sickest skiers ever to grace the slopes of A-Basin, West Turbo is a tight rock chute buried in the trees just under the Pali Chair. The coolest part it the amazingly sketchy entry that involves a straight drop and almost mid-air turn into a 45-degree rock studded chute. Good times! 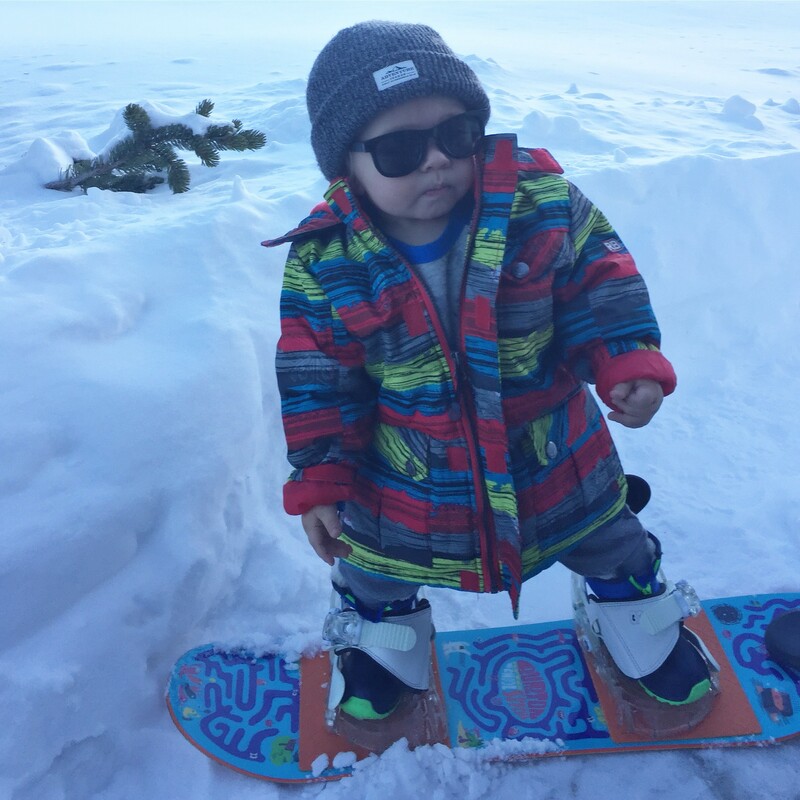 Granddad’s – This is not your father’s ski run. Located in the wooded area just below the 2nd Alley, Grandad’s is a series of mandatory “pillow” style rock drops. It is about four in all. Of course in keeping with the gnarly theme this is all happening in a thick forest at an almost 50-degree pitch. The Grizz – The Grizz is located just west of Bushwacker on the north slope of the Outback. You will know you are there when you are following a series of numbers on yellow signs nailed to trees. The Grizz is not particularly steep but is really long and totally buried in the trees. You spend the first half of the run dodging trees in what feels like a long ski run. By the time you think are should be near the end you are maybe halfway as you slip into a natural halfpipe that seems to go on and on. if your legs aren’t burning at the end of the Grizz than you are a marathon skier. Ambush/Powdercap – Ambush and Powdercap are parallel runs on the north face of North Peak. These are steep and open or “cut” runs. The “Gnarliniess” in these 2 runs is the result of the endless moguls you will ski through. Black Bear and Free Fall Glade – Ride the Super Bee Lift and take Andy’s Encore and on the right about halfway you will find the signs for Black Bear and Free Fall. Be careful though for they are hard to find. These 2 runs are the gnarliest tree chutes at Copper Mountain and offer steep, bumpy wooded terrain that loads with powder and offers turn after turn of powdery amazingness. Want to come ski the best of Breckenridge and Summit County and not break the bank? 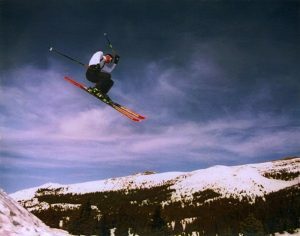 For the best deals on Lodging in Breckenridge visit www.breckenridgediscountlodging.com.